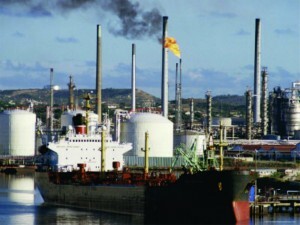 WILLEMSTAD - This coming Friday, the Curaçao environmental group Smoc and Clean Air Everywhere will meet with the government of Curaçao to talk about the oil refinery case. The foundations want the government to intervene in the polluted emissions from the refinery. The lawsuit will be before the judge on October 19, but Judge Peter van Schendel has instructed the parties to have two meetings with each other before that time. This is the reason why the parties will meet this Friday.